The cave at Gilmerton is said by Whyte to have been built in five years by a smith, George Paterson, and finished in 1724. Within it are several apartments, beds and a table, all rock-cut. Here there was a forge, with a well and washing house. However, Coles considers that it is earlier in date, as it could not have been created in five years, and the whole series of chambers has been picked out with pointed tools, not chisel-worked. The inscription quoted by Whyte to support his argument, does not exist, though it may have been on an inserted panel over the fireplace, now removed. NT 2925 6865. A cave, barred by a metal gate. The inscription above the door is said to have read; 'Here is house and shop hewn in the rock with my own hands'. 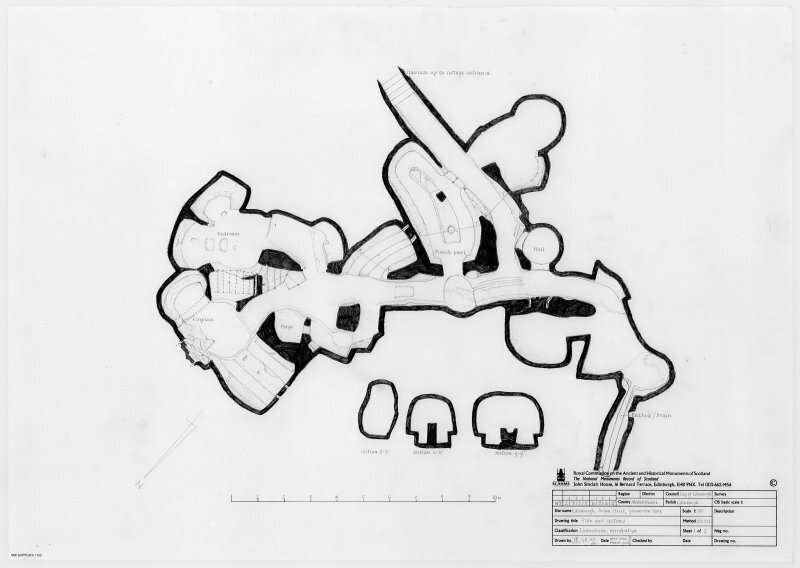 (NT 2925 6865) A programme of archaeological works was undertaken within Gilmerton Cove between April and November 2002, in advance of its development as a visitor attraction. This included geophysical survey, evaluation and excavation, a watching brief, a historic building survey and a historical assessment. Gilmerton Cove is a complex of underground chambers cut into sandstone bedrock. It was entered at the time of the excavations from Drum Street, to the side of a Ladbrokes betting shop. 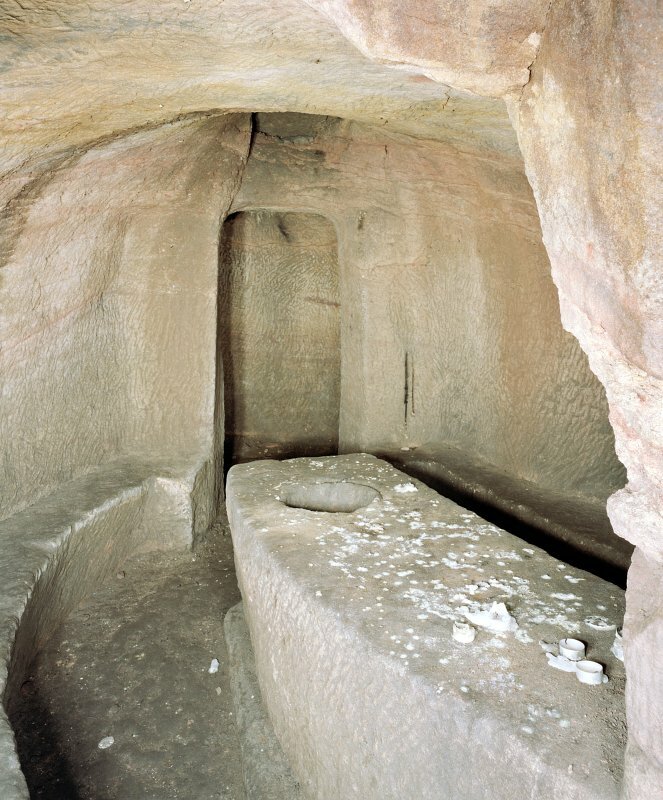 A series of irregularly shaped chambers branch out from a main linear passage, and several of the rooms contain benches and tables hewn from the bedrock. Some entrances and chambers are blocked. New features of the Cove discovered through excavation include a set of steps forming a rear entrance, a well or cistern, a network of drainage channels, a tunnel containing a drain, and graffiti incised into some of the surfaces. Finds include ceramics, glass, metal objects and bone, most of which appear to be late 19th/20th century, along with material dating to the 18th century. Historical research indicates that the Cove was a drinking den and a popular local attraction. Sponsors: City of Edinburgh Council, Society of Antiquaries of Scotland. At present the Cove is accessed via a shop at 16 Drum Street. Information from RCAHMS (KD), August 2004.